The European ink pigment supply chain is currently in a transitional period, which has raised expectations for price stability and product reliability improvements, but these expectations may be overly optimistic. Today’s dependence on imports has decreased. 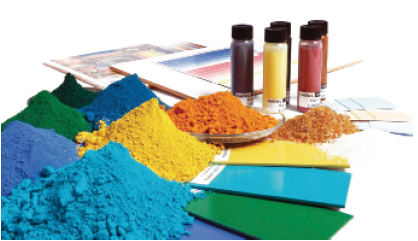 A large number of pigments produced by European manufacturers are still located in the high-end market, although mergers and acquisitions have made these pigments more concentrated. However, there is little evidence that these changes can eliminate common problems caused by price fluctuations and the frequent shortage of certain organic pigments. After a short period of weakness, the price of titanium dioxide (TiO2) fluctuates most. Titanium dioxide rose sharply in 2017 and is expected to continue rising in the near future. Acquisitions and divestments have led to further uncertainty in the outlook for the TiO2 market in Europe, leading to capacity reductions. Suspicions about future availability and costs have forced ink manufacturers to reconsider the use of alternative materials to reformulate, thereby reducing the TiO2 content of the product. In addition, most printing companies in Europe are increasingly inclined to adopt more intense colors, as well as more complex and novel special effects. Some companies have completely or partially withdrawn from the paint market. Huntsman, a major supplier of TiO2 for printing ink production, previously announced that it will follow DuPont and merge its pigment business with the newly established Venator. In addition to the production of TiO2, the company also produces metal oxides such as iron oxides, blue ultramarine and carbon black. This is just two years after Huntsman acquired Rockwell Holdings’ TiO2 business, including a 30,000 t/a facility in Sachtleben, Germany. Tronos acquired Saudi Arabian Cristal, which led to the expansion of Tronos, Kronos, and Kobe Chemicals and Venator, which had been spun off from DuPont, as major players in the European TiO2 market. Analysts expect that the expansion of Chinese companies may lead to further integration. Some have speculated that Long Lilian, the world’s fourth-largest TiO2 producer in China, hopes to strengthen its business in Europe. In October 2016, Henan Shenglilian Chemical Co., Ltd. merged with Sichuan Longxi to form Longxi Lilian. In early October 2014, Henan Lililian acquired Huntsman’s TIOXIDE® TR52 TiO2 Pigment Business Unit (primarily for the ink industry) and has since changed its name to BILLIONS® TR52. However, as China’s demand growth slowed down, TiO2’s capacity was surplus, which prompted Chinese manufacturers’ expectations to shift to the European and North American markets where pigment prices have been rising strongly. Prices in Europe have been rising since the end of 2015, and by the end of 2017 prices have fallen back to levels two years ago. Afterwards, Huntsman’s 130,000 tonne/year installation in Pori, Finland, suffered a severe fire, causing the price to surge, which severely hit ink manufacturers. This damaged device is Huntsman’s main source of graphic arts products for the European market. According to the 2017 raw material survey report of the British Coatings Federation (BCF), which also includes ink manufacturers, the price of TiO2 in the UK rose by 22% in early 2017. In addition to the shortage of TiO2, the weak pound was also a factor that caused price increases. The sharp rise in the price of TiO2 in Europe has caused the plant to stop production, and its impact on the financial status of the company is far lower than expected. Huntsman’s sales of pigments and additives in the first quarter of 2017 were essentially the same as the same period of the previous year. As a result of the fire, EBITDA before interest, taxes, depreciation and amortization (EBITDA) fell by nearly 18%. The tight supply and demand situation of TiO2 in Europe continues into the second half of the year. Although this will help strengthen the profitability of TiO2 producers, it will also put further pressure on the profitability of ink and other paint manufacturers. Despite rising prices, TiO2 producers are continuing to cut European production capacity even before completing the recent acquisitions and starting to restructure their businesses. Huntsman had been phased out of its TiO2 plant in Calais, northern France, before it peeled off its paint business. However, capacity reductions are mainly targeted at commercial materials, while manufacturers are trying to ensure that proprietary materials and high-profitability materials account for a higher proportion of the product portfolio they sell. This strategy is achieved by improving the uniformity of the sizing, forming and surface modification of the pigment particles and improving the quality of the pigments, as these properties help to make the printed surface more visible and more visually appealing. Ironically, producers of calcium carbonate and other fillers are also using similar processing methods to increase the refractive index of the product, thereby reducing the amount of TiO2. The pigment industry has always adjusted the size, shape, and surface treatment of pigment particles, especially among dispersion manufacturers. The European paint industry has continued this trend, especially in the packaging, digital printing, textiles and ceramics market segments. Particle modification is considered to be an important way to improve the UV curing of inks. In particular, the use of UV curing in ink jet printing is expanding. Sizing, surface treatment, and pigment distribution all require particle modification to avoid plugging of the printhead nozzles. High-quality ink producers have targeted the digital printing industry and used their expertise in high-performance pigments for niche markets with above-average market growth rates. Ink manufacturers are also making progress in nanotechnology. For example, Landa has applied nanopigments to its Nanographic presses launched in Europe. BASF has established a partnership with Landa to develop ultra-high transparency pigments using nano-pigment technology and a new generation of pigments for automotive coatings. However, because printing ink manufacturers rely more on nanotechnology to increase the effectiveness and efficiency of their pigments, there are conflicts with health and environmental standards. Many European countries have introduced mandatory registration schemes for nanomaterials or nanomaterial-containing products. 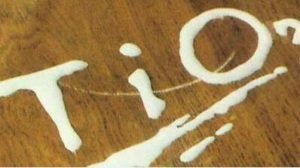 Within the European Union, chemical suppliers (such as TiO2) who wish to provide nanoscale products must provide safety information for this nanoscale product. According to the EU REACH chemical control regulations, these materials must be included in the chemical safety records when they are registered with the European Chemicals Agency (ECHA). The legislation drafted by the European Commission (EU Commission in Brussels) may limit the use of nanoparticles in food packaging inks. This is a response to the German government, which has taken steps to introduce relevant regulations for printing inks that come into direct or indirect contact with food. The German government has agreed to suspend the implementation of printing inks, so that the EU can launch alternative products. However, if the EU legislation fails to adequately deal with the issues involved in German regulations, Germany threatens to reintroduce regulations. The Act prohibits the use of nanoparticles in printing inks unless the risk assessment considers it safe enough as a food contact material. After the ECHA Risk Assessment Committee (RAC) in Helsinki proposed in June 2017 to classify pigments as suspicious carcinogens, TiO2 in printing inks and other products is also at risk of being banned by EU regulatory authorities. According to commentators, even if ECHA accepts the recommendation of the committee, the European Commission is unlikely to make a final decision to support it. In addition to continuing concerns about price and availability, the regulatory risks of TiO2 and nanopigments will be another long-term uncertainty for ink manufacturers.